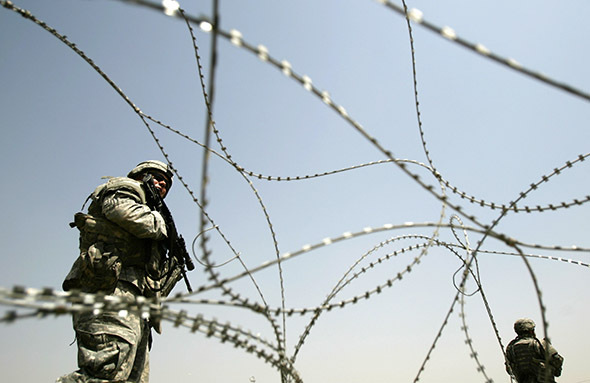 U.S. troops in Iraq and Afghanistan have stolen tens of millions through bribery, theft, and rigged contracts. U.S. Army Specialist Stephanie Charboneau sat at the center of a complex trucking network in Forward Operating Base Fenty near the Afghanistan-Pakistan border that distributed daily tens of thousands of gallons of what troops called “liquid gold”: the refined petroleum that fueled the international coalition’s vehicles, planes, and generators. A prominent sign in the base read: “The Army Won’t Go If The Fuel Don’t Flow.” But Charboneau, 31, a mother of two from Washington state, felt alienated after a supervisor’s harsh rebuke. Her work was a dreary routine of recording fuel deliveries in a computer and escorting trucks past a gate. But it was soon to take a dark turn into high-value crime. She began an affair with a civilian, Jonathan Hightower, who worked for a Pentagon contractor that distributed fuel from Fenty, and one day in March 2010 he told her about “this thing going on” at other U.S. military bases around Afghanistan, she recalled in a recent telephone interview. Troops were selling the U.S. military’s fuel to Afghan locals on the side, and pocketing the proceeds. When Hightower suggested they start doing the same, Charboneau said, she agreed. In so doing, Charboneau contributed to thefts by U.S. military personnel of at least $15 million worth of fuel since the start of the U.S. war in Afghanistan. And eventually she became one of at least 115 enlisted personnel and military officers convicted since 2005 of committing theft, bribery, and contract-rigging crimes valued at $52 million during their deployments in Afghanistan and Iraq, according to a comprehensive tally of court records by the Center for Public Integrity.